The Executive Committee of International Organizations (ECIO) is an umbrella organization and governing body founded to oversee, unify, strengthen and support all internationally-focused student organizations at UNT. Through the execution of collaborative educational events, ECIO sets forth its mission to promote cross-cultural exchange and awareness of critical international issues on the belief that international immersion is crucial and should be brought to the forefront of education for all. ECIO represents the important causes of each of its member organizations, providing counsel and collaboration to strengthen their endeavors; membership is currently held by those organizations giving focus to critical views on foreign affairs, human rights issues, and those dedicated to international peacemaking and cross-cultural exchange. Current member organizations include: UNT Chapter of Amnesty International, Students Against Trafficking and Slavery (SATS), UNICEF, Engaged Beyond Borders (EBB), Sigma Iota Rho, Model International Organization, UNT German Club and Denton Anti-War Network. 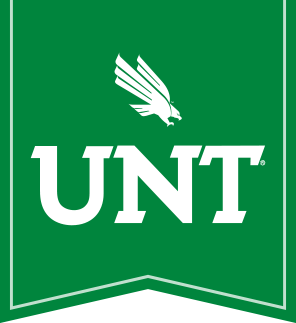 ECIO also welcomes the membership of the upcoming, much-anticipated UNT Chapter of World Affairs Council. Model International Organization (MIO) is a student organization which helps foster interest in and discussion about international and foreign affairs. Each semester MIO presents lectures, attends and hosts Model UN conferences and organizes numerous social and cultural events. Study the cultures, languages, and politics of the world and benefit as you serve others. The world is in desperate need of scholars in world affairs, and international relations is in high demand. Prepare yourself for a challenging career and earn a degree in an increasingly popular field. SIR is here to organize workshops, speakers, and other events to help students learn more about the world and provide students with internships and job opportunities. The UNT Chapter of Amnesty International operates in support of Amnesty's mission to provide human rights for all. It is concerned solely with the impartial protection of human rights and undertakes efforts focused on preventing & ending grave abuses of the rights to physical and mental integrity, freedom of conscience and expression and freedom from discrimination. Join the UNT Chapter of Amnesty International to support local initiatives that directly fight against social injustice worldwide. 1. Child survival and development. 2. Basic education and gender equality. Join UNT Students Against Trafficking and Slavery, an organization fighting to end human trafficking! The mission of the nonprofit, nonpartisan World Affairs Council of Dallas/Fort Worth is to promote international awareness, understanding and connections through its multifaceted programs. The Council works to enhance the region's global stature and to prepare North Texans to thrive in our complex world.